We’ve all heard horror stories of contractors who didn’t show up, didn’t do the job we wanted, or did the job badly. Hiring someone to make changes to our safe haven can be a little scary, so it shouldn’t be done blindly. Careful preparation can help ensure your project is the stuff of dreams, and not of nightmares. Identify the project. Is this a repair or remodel? Is it for multiple areas of the house or in one area? Is it a kitchen or bath remodel? Does it involve plumbing or electrical wiring? It’s essential to understand the scope of the project so you can explain it to potential contractors and they can give you a good estimate on the amount of work that needs to be done and how much it will cost. This will also help keep contractors for charging for or performing more work than needed. Know what credentials are needed for the scope of work. Should a handyman do the project, or do you need a professional contractor? Some jobs require a licensed contractor. 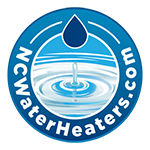 In the Raleigh area, contact the North Carolina Licensing Board for General Contractors and the N.C. State Board of Examiners of Electrical Contractors to find out if your project requires licensing. Round up potential candidates. Ask friends, neighbors and co-workers for recommendations. Also consider searching sites such as Thumbtack, Yelp, Angie’s List and HomeAdvisor for recommendations. Look at the candidates’ websites to determine which ones have specialized in work similar to your project. Interview candidates thoroughly. Even if you already think you know which contractor you’ll go with, interview several (U.S. News recommends at least three) candidates. Find out the contractor’s expertise and experience. Ask for photos of finished work. Ask how the contractor would approach the project, whether the contractor will do the work himself or herself, or whether subcontractors will be used. During the interview, pay attention to subtle clues—is the contractor really listening to what you’re saying and not assuming he or she already knows what you want? Is the contractor open to questions and ideas you have? Does the contractor make suggestions that might be helpful to you? On the other hand, is the contractor trying to get you to make a quick decision, or pressing you to expand the project beyond your budget? If your project requires licensing, check for your contractor at the licensing board. Call references. Contact at least three references for each finalist. Ask questions beyond, “did X do a good job?” Ask if the contractor showed up on time, finished on time and on budget, and if there were any stumbling blocks or challenges along the way. Sign a detailed, written contract. To ensure both parties are crystal clear on the project, work from a written contract that specifies the scope of work, amount of down payment, amount and dates of subsequent payments, and the completion date. Experts suggest not making a large down payment, and instead paying as you go and only making the final payment once you’re satisfied with the work. 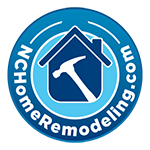 If you’re preparing for a home remodel, please give NC Home Remodeling a call at 919-868-3585. 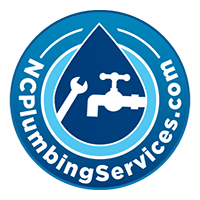 We are a full service home remodeling and plumbing company serving Raleigh, NC and surrounding cities like Durham, Cary, Apex and Morrisville in Wake County. From small to large home remodeling projects, our professional team can make your dream a reality. No Replies to "Finding the Right Contractor for Your Home Remodeling Project"